There are currrently 34 search engines all focused on this one story... does anyone know why that might be? There is no logic to search engines, the last change here was at the end of 2017. Of those 'visitors' listed there are many that are just Android based and not identified as search engines. I wonder what those might be? Of course, by adding threads we are making it more likely that the search engines will have to revisit the thread to update their records! With almost 3000 views it has proved to a popular subject. They were produced to a high standard yet little is known about their production and their creator remains a mystery. I've been meaning to update this thread since acquiring an excellent publication, Triangular Philatelics by Chris Green published by Krause Publications in 1998. It covers both postage stamps and Cinderellas. These stamps are covered in some depth but doesn't reveal any further information as to their origin. What it does tell us about is the large variety of paper and border overprints. It lists 10 different colour combinations available on white paper with a plain border or silver border overprint or a gold border overprint. That makes 30 different stamps. Then there is a yellow card stock version with the ten colour combinations but without any border overprinting. This makes a grand total of 40 different stamps! From my 8, I see that I have 6 on yellow card stock, 1 on white paper without a border overprint and 1 on white paper with silver border overprint. 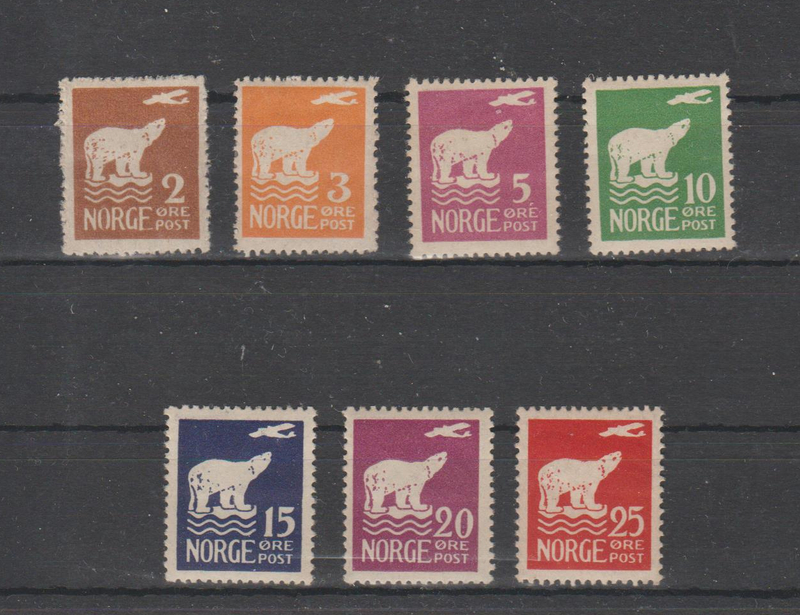 Here are the original Nowegian postage stamps on which these Cinderellas are based. 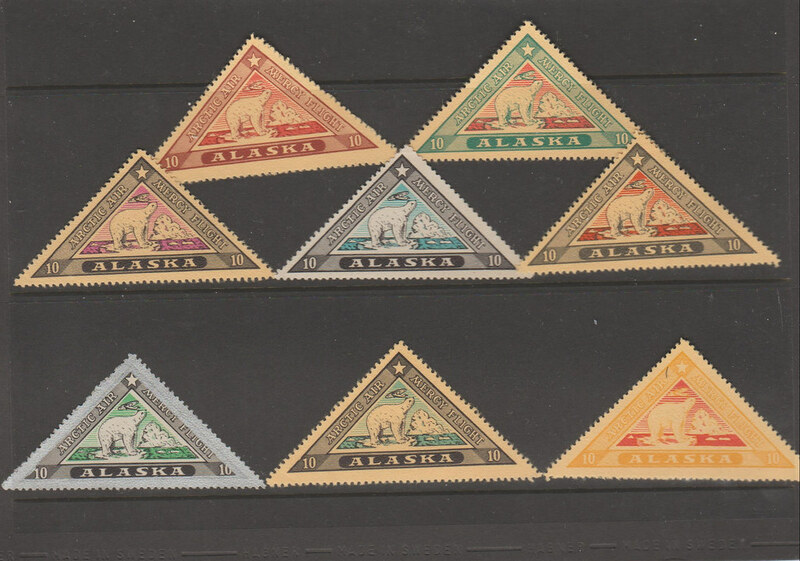 They were issued in 1925 to commemorate Amundsen's polar flight in 1925.